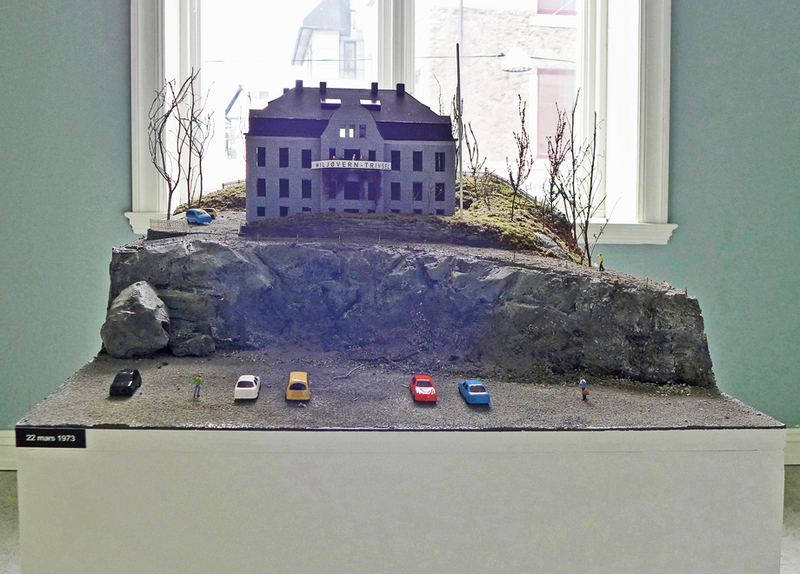 Om måser og gråstein (Of Seagulls and Rocks) (2013-14) takes as a point of departure an old Art Nouveau (Jugendstil) villa in the town of Ålesund which was occupied by group of people in the early 1970s in protest of it and the surrounding landscape being demolished. Ålesund is a town on the Norwegian west coast which burnt down completely in 1904 and was rebuilt entirely in the style of Art Nouveau. One part is a model of the house 22nd of March 1973, when the occupation first started. Part of the landscape in front was already demolished and the activists had hung a banner up saying: Environment – Welfare. 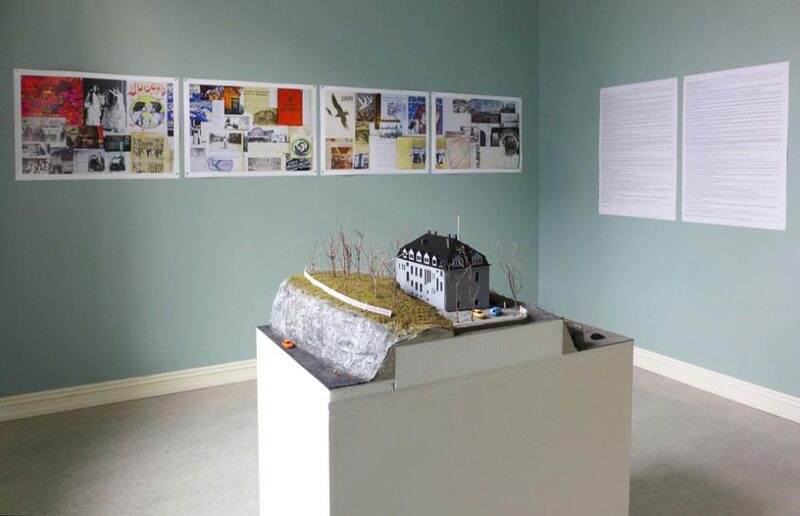 The other part is a photo-collage where images and information connects different movements across time and space as well as with the history of the villa. All the material in the collage is meticulously numbered with an accompanying wall text explaining and speculating about the connections and content. 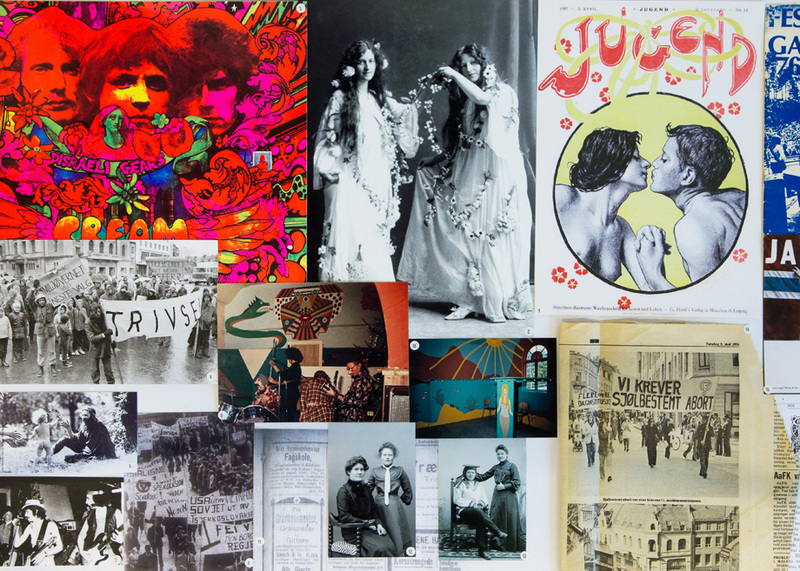 The idea was to trace, in a nonconformist way, the radical and alternative characteristics of the original Art Nouveau movement and draw parallels and connections to the 1960s and 70s youth culture- the period when the Art Nouveau villa was being occupied. Both on a local as well as a global level. Both periods were influenced by a range of grass-root and counter culture movements. By making connections across time and space questions are posed about the defined history and established truths. 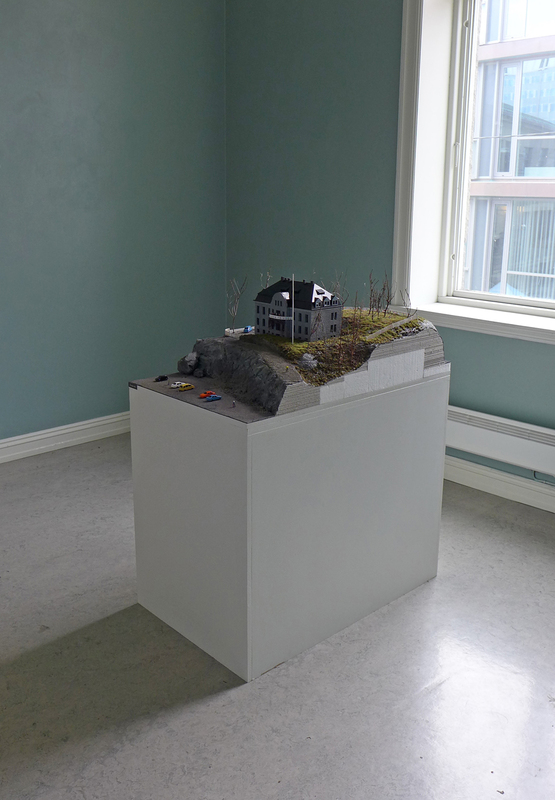 The piece was shown at ‘Jugendstilsenteret’ , a historical institution in Ålesund as part of the exhibition ‘From the Archive” invited by curator Benedikte Holen at the art centre KUBE.